Stalwart has produced a very useful product: a lock box that you can hide in plain sight and worthy of beinlisted with our collection of spy gadgets since any concealment safe is in invaluable tool for those who are interested in the shadowy world of espianage – This lockable book safe is an excellent choice for keeping your valuable items safe. 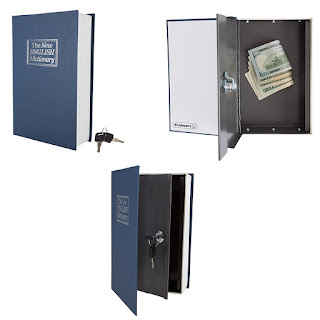 This book safe comes with a lock and key, it looks like a real book and will easily blend in with the other books on your shelf. Anyone looking for safety while at home or travelling should consider this safe; it is perfect for both home safety or for people traveling with valuables. Its light, doesn't take up space and easily fits on a shelf or bookcase. Its portable so you can stick it into a carry-on bag, or put it in plain sight such as a coffee table or a night stand. Not only are your valuables hidden but you get the double protections of having them locked in a durable container – The safe is made from a strong metalic material, and is only opened with a key. The intrior of the safe measures 2 x 5.6 x 9 inches, making enough space to store your jewelry, cash, credit cards or other useful items that you don't want others to get their hands on. 'Hmmmmmm.... I wonder what that might be?'. 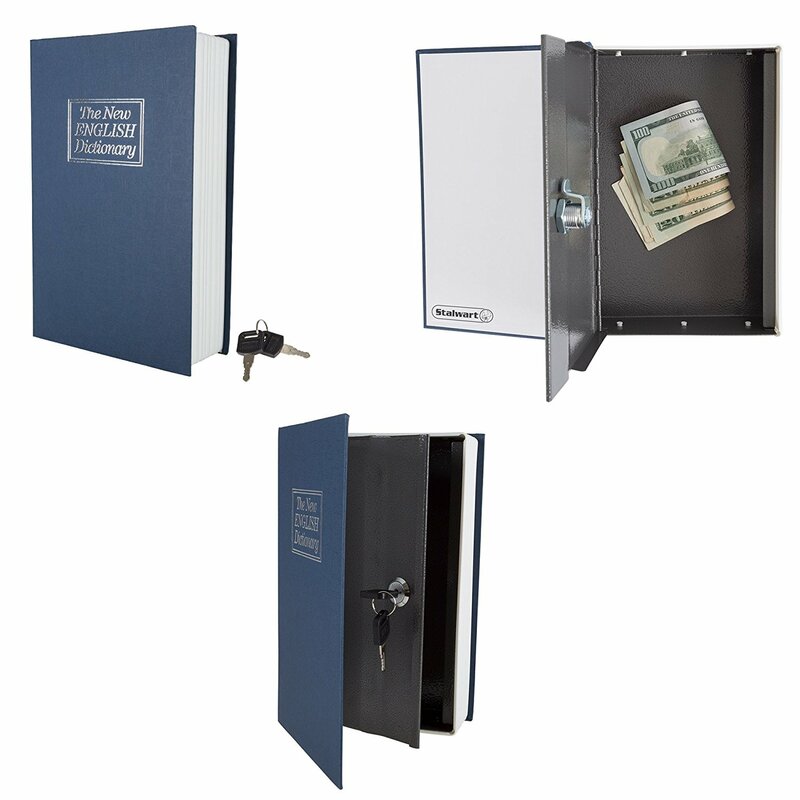 This makes the Diversion Book Safe a convenient and effective hiding place and allows for easy access to your valuables when you need them. Quality is GUARANTEED – Stalwart is committed to providing customers with the best price and value on our entire line of products. This is an excellent spy gadget for a few reasons: the Diversion Safe by Salwart provides a very simple and powerful way to keep your valuable items safe at home or while you travel. 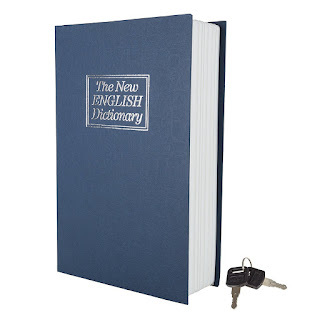 Basically you get a key operated safe that looks like a real book, and easily blends in with the other books on your bookshelf. 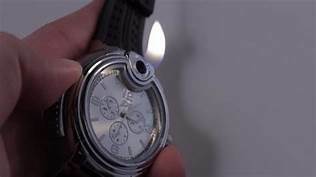 Be advised that there are many imitations being put out there now by less scrupulous companies hoping to make a quick buck, so avoid buying counterfeit products and transacting with unauthorized sellers. To make sure you are gettnig the quality you bargained for simply look for the logo on the packaging. What Have Customers Had to Say? Customers have given this particular spy gadget positive feedback again and again saying that this safe is useful and a good buy for its price. 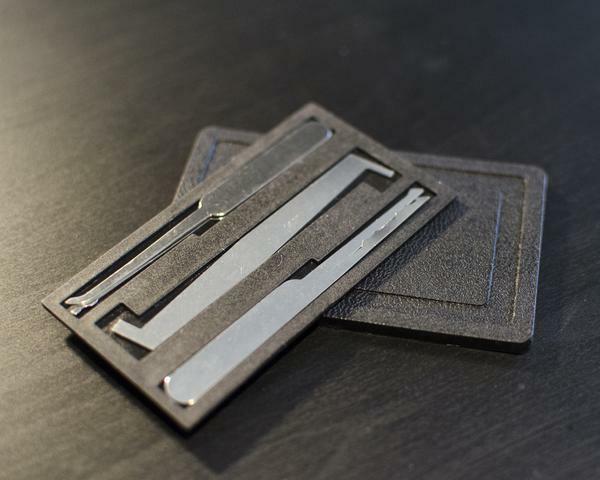 If you are looking for a way to conceal something small such as a passport, money or jewelry, it will do the job. 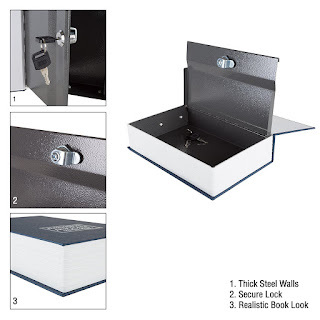 It is important to keep in mind that the effectiveness of this safe will depend on how you place your valuables inside and where you hide the "book." 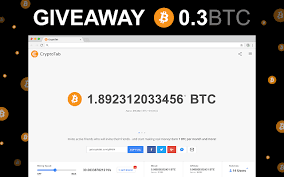 So... How much? $11.99 Where is it? Amazon.